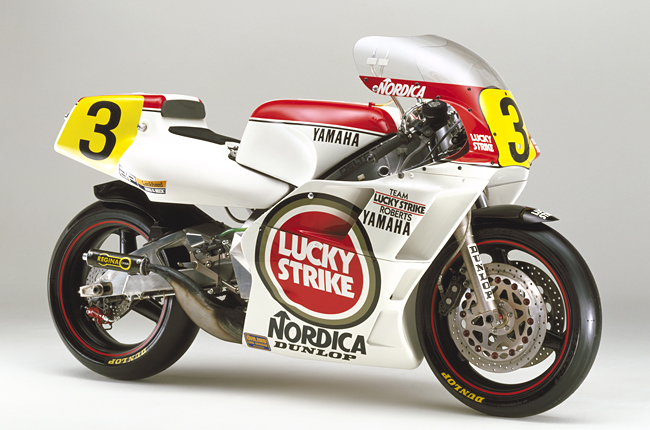 YZR500(0W86) - race | Yamaha Motor Co., Ltd. Measures such as extending the length of the tail pipe were taken to achieve a noise reduction (110db→105db) to comply with the 1987 new regulation. 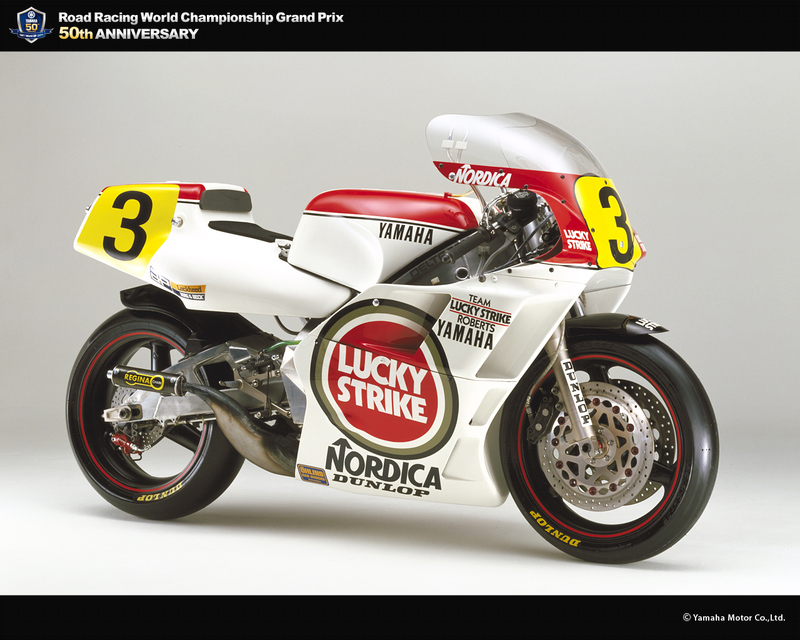 This '87 model also saw maturation in a number of areas with a revised mounting position for the engine, increased radiator capacity and expanded air duct for improved cooling performance. The max. 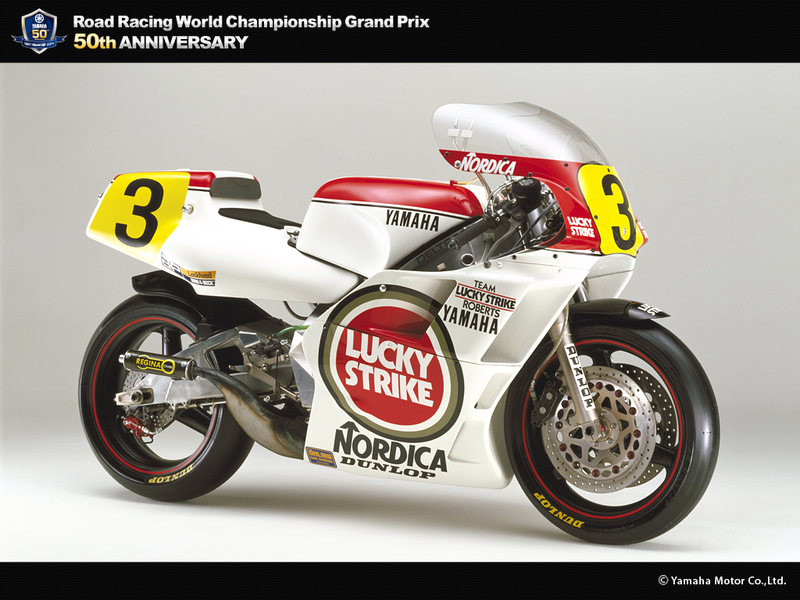 power output was also boosted from the existing 145PS to 148PS. 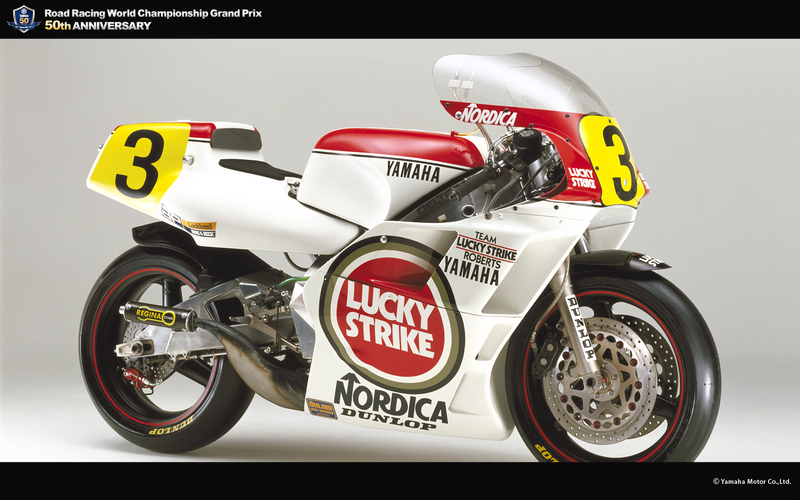 That year, E. Lawson won five rounds and R. Mamola won three to give Yamaha its fourth GP500 Manufacturer's title.